We wish we could tell you that ignoring the issue would eventually solve the problem if you or someone close to you were struggling with drug addiction. You may even believe that there are periods in which the situation is ‘getting better’. 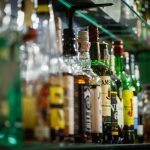 The truth is that when it comes to a dependency on alcohol or drugs, it is not likely to get better without assistance. Sometimes, doing the right thing, such as making that first call to seek help, can also be the hardest thing that you have ever done. It does not matter how long someone has been dependent on an illicit substance or what that substance is, if you are ready to turn your life around or to help someone do the same, do not delay any further and make that call. 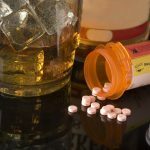 Sometimes people pretend as though nothing can be done, but the truth is that drug rehab can make a dramatic difference in someone’s life. You should stop wondering about what might happen if you make that call, and find out for yourself. If you want to know what it would be like to live a life free of dependence, to stop worrying whether or not you may ever have a life without it, realize that you do have options. Make that call, whether you want immediate help for yourself, someone else, or just want to know more about the possible choices that you have available. Do not delay any further, pick up the phone and call 1-888-612-6064. or fill out the form below to make a difference.